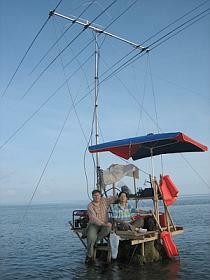 What is Ham Radio or Amateur Radio? By comparison ham radio operators are allowed to use to every mode of communication: AM, FM, CW, SSB, RTTY, SSTV, ATV, Packet, and a hundred others you’ve probably never heard of. We have privileges all across the radio spectrum, from shortwave to microwave. We routinely talk to other hams across the globe, from Antarctica to Greenland, from Afghanistan to Zimbabwe, all without breaking a single law. 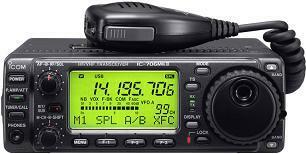 To use ham radio, you must pass a written examination and be assigned a call sign from the FCC. For example, my call sign is “W1AI”. I’m the only licensed radio operator in the world with that unique call sign. Originally, you also had to pass a Morse code exam to get a ham license. However, the FCC did away with that requirement about 10 years ago. There are no more Morse code tests! The FCC currently issues three different classes of amateur radio license: Technician, General, and Extra. The examination for the entry-level Technician license is fairly easy, covering basic ham radio regulations, safety, operating practices, and simple electronics. The exam has 35 questions, and you need 75% (26 questions) correct to pass. 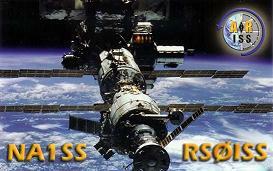 The questions are selected from a published pool of about 400 standard questions. It only takes about 10 hours of study, more or less depending on your background and memory, to prepare for the Technician exam using our online course. And while you're preparing for the exam, you'll also learn a lot about your new hobby! I personally enjoy public service, providing communications support for events like the Boston Marathon and the Jimmy Fund Walk. When large crowds of people try to use their cell phones all at the same time, the cellular systems are swamped and unreliable, but ham radio gets the message through. $24.95 for an online entry-level (“Technician”) license exam course. 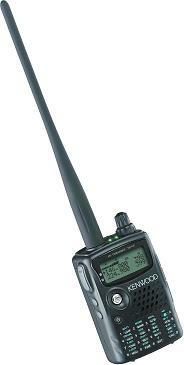 $29.99 for a BaoFeng UV-5R Dual-Band Ham Radio for local VHF/UHF communications. On the inexpensive side, if you're willing to settle for used equipment without all the latest features, you can often find fully functional HF rigs in the $100-$300 range, and it costs next to nothing to build your own home-made dipole antenna. Once you obtain your license, contact your local amateur radio club for advice and to hear about the latest local deals.